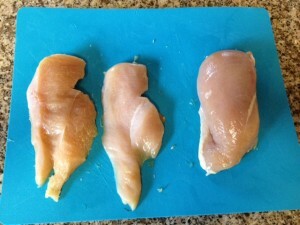 Today I headed over to Alberton’s and took advantage of the Chicken Breasts buy 1, get 2 free deal. Overall I paid $11.65 for 7 lbs of chicken ($1.66/lb). There were a total of 9 breasts, meaning each one weighed .75 lbs! That equates out to 12 ounces. The recommended serving size for chicken is only 3 ounces. That means one of these chicken breasts should feed a family of 4. Cut back your portions and lower your dinner bill, by cutting the chicken breasts into halves or fourths before sticking them in your freezer. 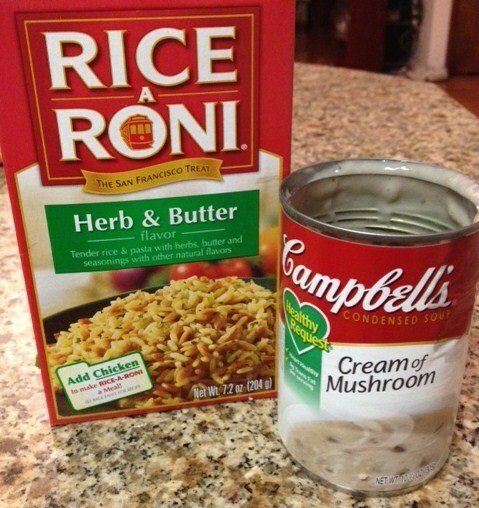 When it comes time to cook dinner they will be easier to thaw and you have already done portion control!